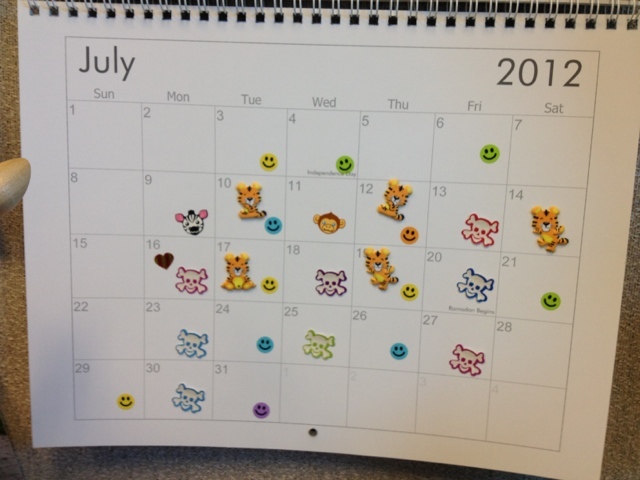 Only ten boot camps (animal heads and skulls), but that's because the first week of the month camp was in recess. 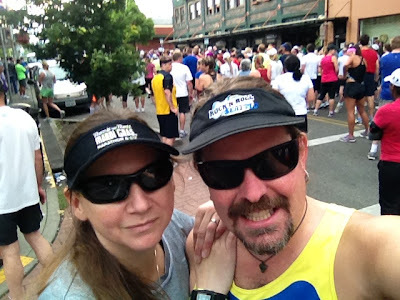 Twelve runs (smiley faces) -- including two half marathons, one of which was our second fastest EVER -- for 67.15 miles. Five crossfit classes (tigers). Pretty sure I won't try it again. But at least I tried it, right? If we hadn't had a race on the second Saturday, I would definitely have completed the on-ramp series. I don't think it's for me. 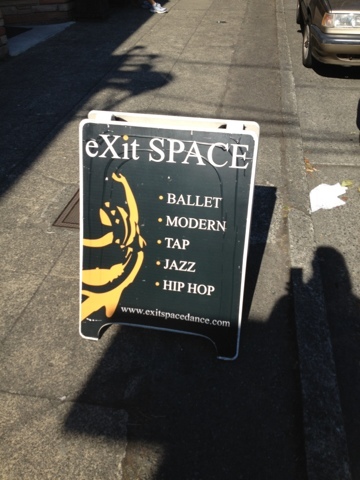 Three tap classes (ummm, hearts... guess I forgot to stick them on....) -- LOVE LOVE LOVE tap class. The instructor is awesome, my classmates are funny, and we're starting to make tippity tappity sounds now. Let's be honest -- trying to balance crossfit and boot camp at the same time wasn't a good idea. I felt tired all the time, and just like I was too busy all the time. And tonight I really really really didn't want to go to crossfit. And that's okay. Goals for August? Keep up the running -- would like to be over 60 miles again. Go to every boot camp -- next week we're on break again, but we'll still have 11 sessions. 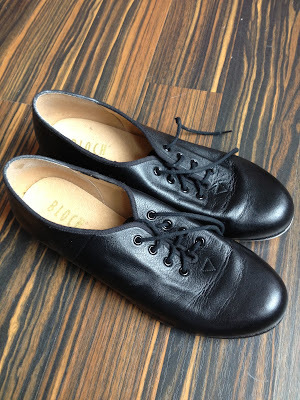 Go to every tap class -- and practice at least once/week. I'd also like to go for a swim at some point -- maybe in the week when we're on hiatus. And I would like to go back to Zumba twice. I do enjoy the dancing. Another pretty day -- and a good strong run for the last day of the month. I ran faster and a little farther than before, which makes me feel happy. Can I just briefly say how much I love my tap class? Sometimes it feels really easy, sometimes it feel so hard that I worry I'll never figure it out. But a lot of the time I feel relaxed and like it's just flowing. Thank heavens I was born with good rhythm. Just a nice little run around the lake. 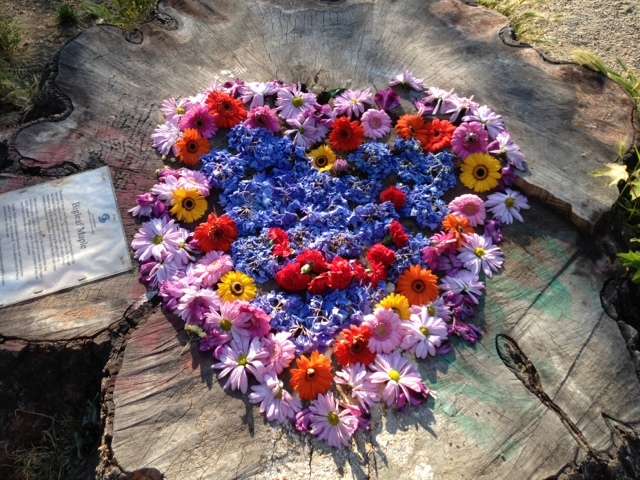 I always admire the flower art that appears on the stump of a once-mighty maple that was damaged in a storm and then felled for safety reasons. Today I stopped to take a picture. 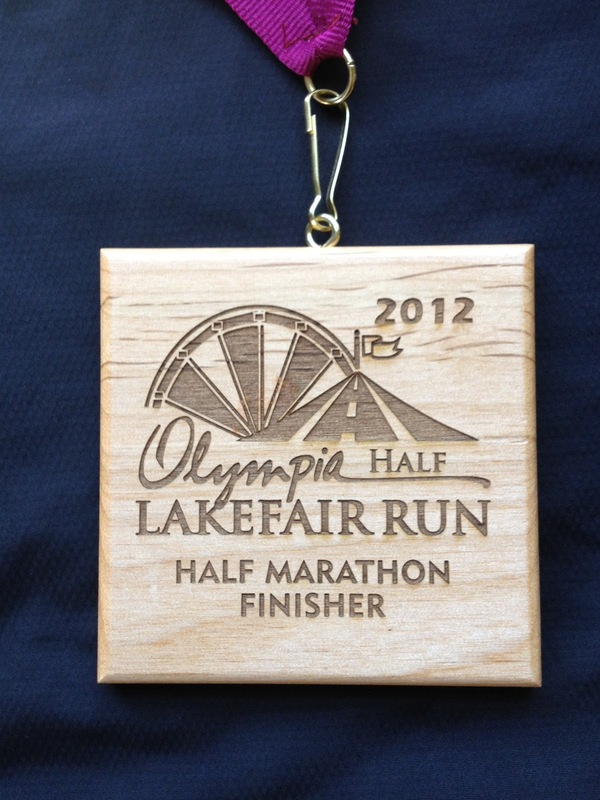 Got up Very Early to drive down to Olympia for the Lakefair Half. Mom and Chuck had offered us a place to stay on Friday night, but we knew we would end up getting there so late (Friday afternoon traffic...) that we might as well just have an early night in our house and drive down. 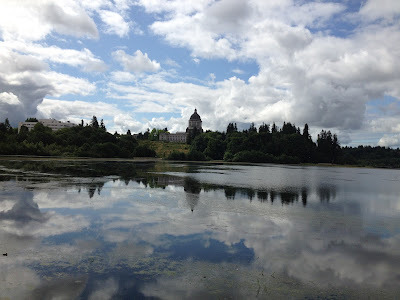 Had a fast and smooth trip down to Olympia, where we found free street parking a couple of blocks from the start. Well, not that we knew it was the start, but we figured we were close anyway. As a bonus, the car was very near that little park with the gazebo on the main drag into town -- made it easy to remember! We started walking toward where we thought the finish was, but stopped at a little water station that was being prepped to ask where the start was... which was a couple of blocks behind us. So we got there and found a handful of runners milling around, with no really obvious starting line. We asked a runner where packet pickup was, and he pointed back down the way we came -- next to the finish. My bad for not being specific! (Or not looking it up myself...). So back down to the finish, where we picked up our packets and were thrilled to have made the right decision: no tech shirt. We had registered with the "no shirt" option -- $30 for entry and a finisher's medal, rather than $70 for entry, a tech shirt, and a finisher's medal. Now, Wil had wondered what if we got there and it was the BEST RACE SHIRT EVER?!? I assured him that we would probably be able to buy one on the day if it was. And the shirt? Not the best race shirt ever -- though it was a nice, white, Podium shirt with a handsome logo. Still, not worth $40 to me. Bibs attached, we headed off in search of porta potties -- ending up at the park and some freshly cleaned honey buckets. Then over to the starting line, where we amused ourselves and got ready for the start. I think there might have been some announcements -- it was impossible to hear them, so hopefully they weren't too important! Then we started running. We ran through some nondescript city streets (funny not to have us at least run past the capitol building... but maybe they figured it's a locals race?) and onto a bike path. The path followed the freeway for a while, and then we got on a nice former rail line trail. Not pancake flat, but essentially flat. We ran our usual 4:1s, and I felt good. Really good. Then the funny little "off road" stretch, where we left the Woodland Trail and crossed a parking lot and then Pacific Avenue to get on the Western Chehalis Trail. Though there weren't a lot of places we had to cross roads, the places that we did have to cross had either local police officers (for busy streets) or NightLife yellow-clad race officials (for lesser streets), so we had no delays. The Western Chehalis trail was a delight -- we had walked there with Mom and Chuck a couple of years back. Oh, and it was funny to run behind a shopping complex to get on a pedestrian overpass over I-5. It was even nicer to spot the overpass on our drive home! As we approached a road crossing Wil spotted someone far away in the distance and said, "Is that your mom in red?" I said, "Umm, not sure... maybe?" Wil said, "No.... it's not." I replied, "It might be.... she wears red." Wil said, "Nope. It's a man." Should probably consider getting glasses. Or at least finding my old glasses, eh? Eventually trail gave way to "country" roads -- giving us the only significant hills of the run. Until this point we were on pace for a PR. (Apparently.) At some point Wil said that, hopefully, given all the uphills, it meant that we would have some long shallow downhills back into town. 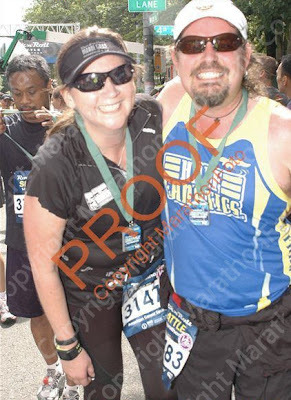 It was hard to believe, as we hit mile 9, that we were only 4 miles from the finish. 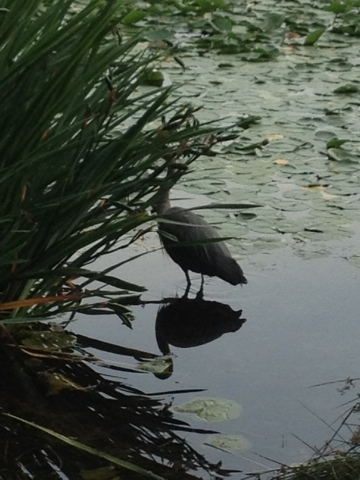 We made a little jaunt through a park -- who knew? -- and then back on roads. Sure enough, we did start to go gradually downhill, which gave us some of the fastest splits of the run. Not bad for geezers like us, right? That said, I started to get pretty tired around mile 11. Not miserable, but tired. We were running along a street of nice houses with views of the water -- though what exact body of water it was I haven't a clue! I was completely turned around -- thought that perhaps we would re-enter town by those big roundabouts and cross a bridge? Nope. Not that I know Olympia well, but I did spend a lot of time pondering where exactly we were during those last few miles. I was just happy to see the little water stops exactly every two miles (nice job, organizers!). The weird thing was that I knew the finish was next to the fair... but as we ran on I couldn't see the Ferris wheel, the capitol building, nothing. This made me super confused and left me worrying that we had a lot farther to go. 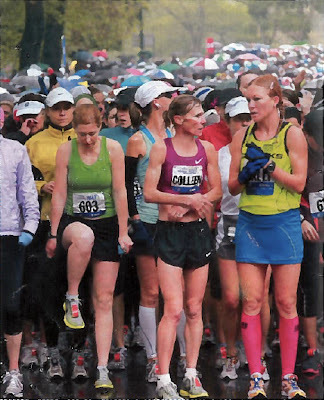 I always struggle with that -- not being able to see the finish, or really "know" how far it is between mile 12 and 13. I ended up walking a bit extra, though Wil kept me moving as best he could. Then suddenly I recognized where we were... and I knew we were close. Wil spurred me on again and we rounded the final corner. We were behind a girl who was struggling a little, and I think neither of us wanted to blow past her at the finish. But she slowed down to greet her running group / cheering party and we hustled past. Wil got a shout out, but for some reason I was tagged as Stephanie Delaney. Oh well! After breakfast we walked around, though the fair wasn't yet open. 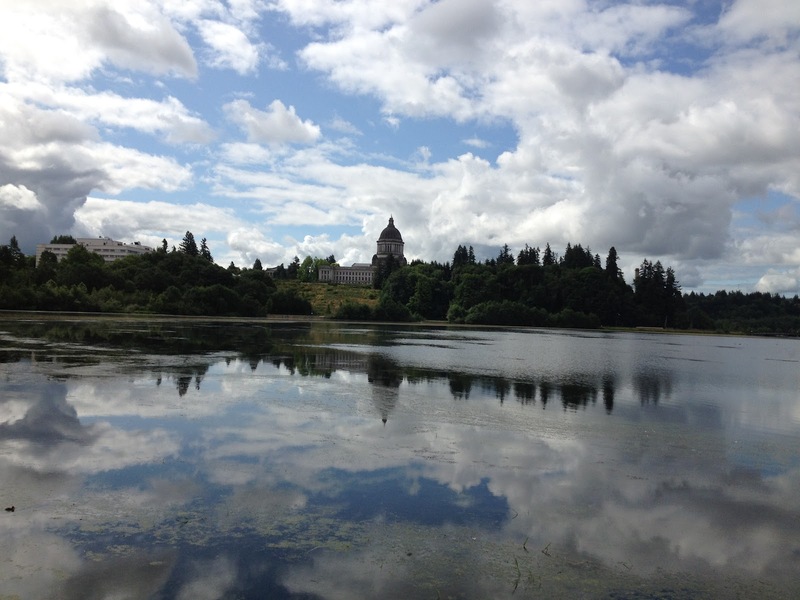 I'm always surprised by how tall and how pretty our state capitol is! 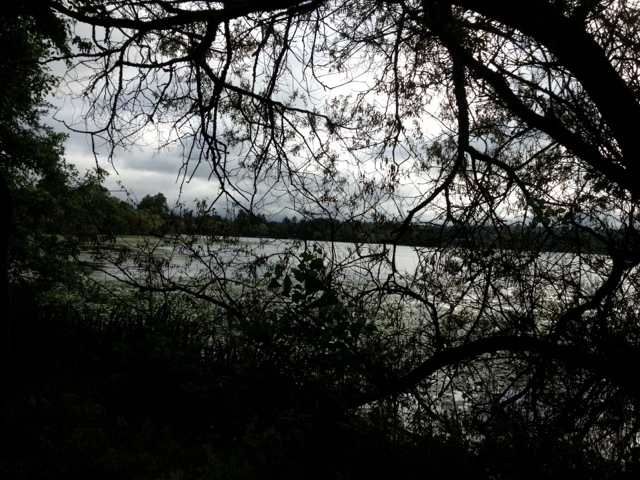 Then we drove home -- where we had showers and a little nap. What did the big tomato say to the little tomato who was falling behind? Let's see -- how did the rest of the week go? Tuesday night CrossFit -- another tough workout.... that I have clearly already blocked out. Megan and Carlos let the session... oh! and we used the kettle bells -- one of the essential pieces of CrossFit equipment. I really like when Megan leads -- she is supportive in a. super nice way. She manages to point out that it's normal that we won't be able to do a lot of the moves yet ... without making us feel like total losers. Maybe it's because she takes the "yet" angle. That's in contrast with the other leader, who somehow makes us feel like we're weak and lame because we can't do ring dips... But I'm getting ahead of myself. Carlos is also great -- he's very calm and soft-spoken, quietly correcting our form and urging us to work hard. I'm always pleased when he tells me I'm putting in good effort. Yeah, pathetic that I still seek positive reinforcement from my teachers! In addition to kettle bell swings and squats, we also learned about "dubs" -- double-jumproping. There's a huge incentive to get your "dubs" figured out... because you can either do x-number of dubs, or 3x regular jumps. That said, during the WOD I just jumped single jumps as quickly as I could. We also did a LOT of squats, and were warned that we would be sore. Wednesday morning boot camp -- better energy in the group, and I feel like we've really gelled a bit. Lots of partner work with the bands, which is always funny. And we got to hear Kerry actually get a name WRONG. (She's really really good with names, usually.) We do, however, seem to have lost some of the recruits -- no sign of Audrey (?) all week. Vacation perhaps? 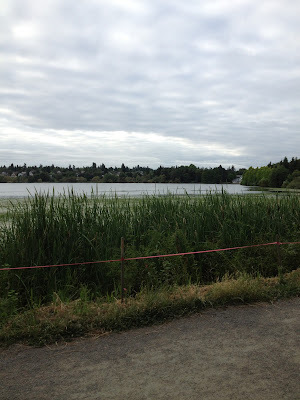 Thursday morning run -- ran around Green Lake again in nice weather. I feel a little stronger and a little faster, but I'm still just plodding along. Still, nice to be running in the real world! Thursday night CrossFit -- my last "onramp" session since I'll miss Saturday's graduation WOD. We had the other instructor... who told us all that no one would be able to do the ring dips (okay, she was right, but still... the key word here is YET! ), and then told us how much she loved box jumps and proceeded to show us her jumping skills. Not that there's that much to say about jumping up onto a box, but still. For whatever reason, she looked at me and one other woman and told me to get a 12-inch box.... but then told the other women to get 16-inch boxes. She then proceeded to tell me that if I needed to, they could get me something even lower. Ummm.... hi, I'm the woman with the long legs? One of two of us who does military pushups? But, fine, better to start low and grow into something higher. Besides, Stacey managed to bash her shin against a 16-inch box on her first set and quickly moved on to sharing one of the 12s. As did at least one other woman. So there! Then today's boot camp -- where we were joined by two visitors who clearly underestimated the intensity of the workout (hee hee), got positively soaked by a very hard rain, did over 100 pushups, ran a bit, did a lot of sit-ups and squats, and then called 5 minutes early because of thunder and lightning. Oops. All in all, a busy few days. I'll be glad to have CrossFit behind me. I have promised to meet Stacey on Tuesday for the 6:30 WOD... we'll see how a "real" class is! I do think I see why it's so compelling as a workout -- the points, the scoring, the variety -- but I just prefer boot camp. Heck, I even prefer Dillon's class, I think. And especially when a month of CrossFit costs the same as a month of boot camp, well, it's a no-brainer. Farewell CrossFit. Hello again Vast Fitness! 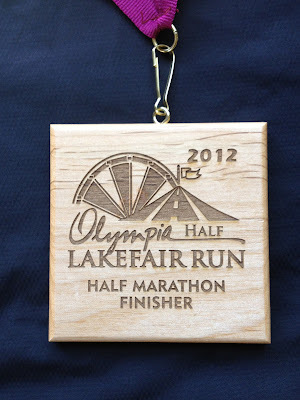 Oh, and yeah, tomorrow is the Olympia Lakefair Half Marathon. The course looks relatively flat, lots of running on old railroad trails. And my mom will be cheering us on at the finish. Nice! Boot camp this morning, where I felt pretty strong, and I think we were all in a good mood. 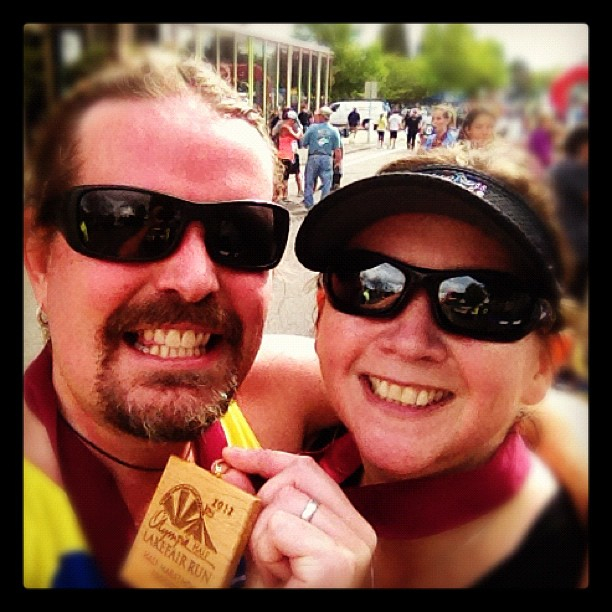 Ellen had a strong finish in her half marathon, and was fast in the drills. Best part of the workout was when we had to sprint down the soccer field from end to end and I actually felt FAST. And then, tonight.... TAP DANCING. Of course, I bought the voucher nearly a year ago... But I had had trouble scheduling the eight week session. This time felt like my last chance before fall. The instructor's name is Karen, and she is AWESOME. There are six students, all novices, and today we had a great time. We learned the warmup series we will do every week, then the syncopated shuffle, then "walking the dog" and a little pattern that goes with it, and finally "walking the cat". Best of all, I can practice in the basement. I am happy to be A) using a voucher and B) doing something I have wanted to do for a long time. Then home, where Wil had made dinner... and then for a nice evening walk to downtown Ballard. Yay for Monday! Saturday's CrossFit course was a little intimidating and frightening... I got there a little early to go through the warmup -- which went pretty well except the "5 pull-ups". Ummm. Well. Then we reviewed our form for the barbell lifts (yeah, forgot the name of the move again already). Then Megan split us into two groups. One group worked with Carlos on "wall ball" (squatting, then driving your body upward and throwing a medicine ball above a point on a line, then catching the ball and going back into a squat), then "renegade rows"(push up while holding on to two dumbbells, then "row" with each arm, repeat...), and lunges. Good old, bog standard lunges. The other group worked with Megan on dead lifts -- where we learned the right form and practiced lifting the barbells with 10-pound weights on each end. Big weights -- so they look like proper weights -- but not too heavy. Megan explained the workout -- we didn't have all that much time left. Six minutes doing sets of 5 dead lifts and 10 squats; two minutes' rest; six minutes doing sets of 5 renegade rows and 10 wall ball throws. Then we learned how to mark our reps on a white board -- draw two lines, one for each set of exercises. As you complete a rep, you erase a little bit of the line by swiping your finger across it. At the end of the workout, you count up your reps.
Then, with little more prep, we were off. I started with the dead lifts. I was really worried about hurting my back, so I took it relatively slow. Not sure I would be able to lift "with intensity" on that sort of thing. Then while I was doing my third round with lunges, Megan told me I could swap to squats. After six minutes (and 6 sets...) were up, we had a break. A blissful, 2-minute break. I got myself set up for the second round, cleverly putting my wall ball near by dumbbells. Then we were off. I started with the rows -- and I really struggled. But I was able to lift the 12.5-pound dumbbells, and not swap down to 8s or 5s. Then wall ball, which was pretty easy since I was using the 8-pound medicine ball. But as the minutes passed, I really burned out. I only managed 5 sets. At one point I lost my balance on a wall ball throw -- right as Carlos was watching. So cool, me. Today? Rest. We went up to the zoo to visit the orangutans, but then basically came home and hung out. I did a lot of tidying, a bit of organizing, and then a bit of stitching. For some reason all of us were sluggish today. Kerry tried hard to keep us moving, and we even did one of my favorite workouts -- the circle circuit -- but I was dragging. Interestingly enough, everyone had really sore hamstrings. Ellen swears that we did a lot of squats on Wednesday. I have no memory of the workout. Feeble old me. The weather was so gorgeous this morning that -- though I was feeling a bit stiff and sore -- I wanted to get up and run. So after making today's delicious smoothies (kale, banana, strawberry, blueberry, raspberry) I packed up some things and headed out. My legs were really stiff at the start of the run, but then I warmed up and felt okay. Not much else to report there... other than the fact that, being a fool, I didn't stretch when I got to the car. Nor did I stretch when I was in the shower at work. Nor did I stretch ALL DAY. 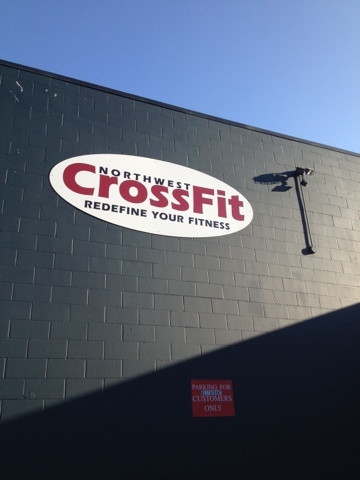 Then home, where I relaxed a little and then got ready for my second "on-ramp" session of CrossFit. I'm not gonna lie. I didn't want to go. But I also don't want NOT to go. So I sucked it up and headed over to the box. Was happy to see Stacey there again, but sad not to see "Sarah". A few other folks seemed to have dropped out as well, but the majority of the class was there. We warmed up on our own -- or were supposed to, but most of us did a few "pass-throughs" and then Stacey and I did a couple of inchworms before we kicked things off. We started by learning the safe way to do some of the lifts. Yeah, I've already forgotten what they're called. The first one was just bringing the bar to your shoulders, then back down to your hips. The second lift was bringing the bar from your shoulders to over your head, and back down. This got increasingly difficult as time passed. Then we went over to the pull-up bars and attempted "knees to elbows". Umm, yeah. Luckily the instructor pointed out that for many of us, just hanging from the bars was enough of a workout. Yep. Then we worked on v-ups -- which are a modification for the knees to elbows move. After "mastering" (ha ha) the moves, she asked if we were all warmed up (groans) and then she explained the workout. We were going to do each of the four things for a minute each. At the end of the four minutes, we got a minute of rest. We were encouraged to keep track of how many reps we did -- saying that the workout was "scored" by the total number of reps you completed. Anyway, we were to do the cycle 3 times total. Ready? Go. First lift went okay, as did the second lift. I tried to do the shoulder movement that's the first step of knees to shoulders. And I felt relieved by the relative ease of the v-up. And then I enjoyed my first minute's rest. Second round -- first lift good, second lift a little wobbly. I started to worry I would somehow lose control of the bar. Got to the pull-up bar and my hands were hurting. Had to drop off the bar a few times the pain was so bad. Started my v-ups with the one-leg modification, only to have one of the instructors say that we should at least attempt the two-leg version at the start of the set. So I did... and he said, "Great effort." (aww.) And then blissful, water-sucking rest minute. Third round -- tried to burn through it because I was relieved it was almost over. (Is that normal?) First lift okay, and then I tried to focus on my form for the second lift. And then, well, I think I spent more time with my feet on the ground than my hands on the pull-up bar. My hands are still sore. And then v-ups till the end. After the session we put our things away, got a little pep talk, and cleared out. I hope I can move my arms tomorrow... at boot camp! We'll see how I feel tomorrow before I decide whether or not to run. Went to CrossFit for the first time today... yeah, it's another "groupon" (well, in this case, an AmazonLocal voucher...). For 2 weeks of onboarding plus 2 weeks unlimited CrossFit. This series we repeated 4 times, with the goal of finishing it in under 15 minutes. Most of us were able to complete it easily, but one woman struggled. What was nice, however, was that the instructor had us all gather around and cheer her on. After the WOD, we all gathered around again for a little chat. When we stood up, we had all left sweaty bum-prints on the floor. OH! The best part of all (and again, here's that "I'm the luckiest person in the world" bit...) was that my work pal Stacey was in the class! She, too, had bought the voucher to try it out. At the end of the class, Megan (the instructor) told us to have a goal. Not a "oooh, I want to get fit and toned" goal, but a "I want to run the Spartan run in September" sort of goal. Stacey and I looked at each other and then said, "Chin-up." So our goal is to be able to do a chin-up by the end. So... boot camp tomorrow... we'll see how I feel tomorrow morning! Was so happy to get up a bit early today to go to Boot Camp! We had a week off before this session and I really missed it. So going back to the track and seeing my new friends was a real treat. Today we tested -- the mile run, pushups, sit-ups, planks, and squats -- and I was a bit better in everything but the run. For some reason, as I rounded the last corner, I started catching up with one of the new women in the class. And for some reason, I thought, "Aww, I don't want to pass her." Not that I'm super competitive... in fact, I'm probably overly careful about hurting anyone else's feelings. But when I heard my time for the mile I realized I really should have just finished at my pace rather than slow down. Oh well, it just means I will hopefully really improve by the end of the session! Back to boot camp on Monday!! Today the fine folks at Arbor Barber came to trim our trees... and I took advantage of my work-from-home day by going to the lake this morning and going for a little run. I suppose I could do this every Tuesday & Thursday... at least after I make the smoothies!!! Yeah, it's cute, but is it worth FORTY DOLLARS?! ?